Let me start by telling you of my love for Maybelline mascaras, Maybelline Great Lash was one of the first make up products I ever owned and I still use it. I have tried other brands, most recently No7 and Lancome, but I keep coming back to Maybelline and with their ever expanding range of Volum' Expresses why would I want to leave? Anyway, onto the Mega Plush. I first heard about this mascara in an advert in which it was described as a gel-mousse non-brittle formula. At the time I thought it sounded a bit odd and unnecessary but while doing my food shopping the next day I found myself adding it to my trolley and wondering if moussey eyelashes really are the way forward. I already have a couple of non waterproofs from Maybelline including the Volum' Express Turbo Boost which I really like for day but if I sleep in it I wake up with about 3 very large eyelashes so was a bit apprehensive about trying a non waterproof in a new formula. Maybelline claims that the gel-mousse formula of this mascara prevents brittle, flaky lashes as it contains 40% less hard waxes. I was hoping to see some kind of moussey texture but was disappointed on that point. 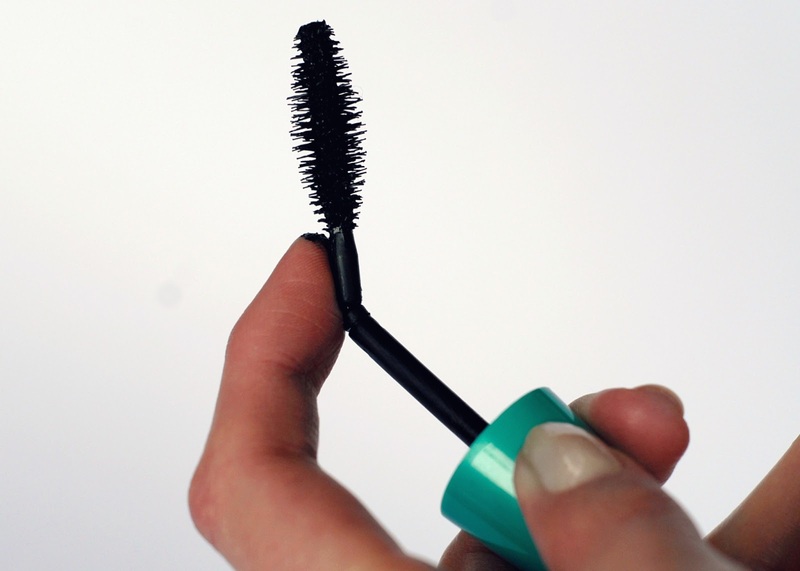 The Mega Plush boasts the new patented Flexor Brush, which is very bushy but flexes in the middle to avoid clumpiness. At first I found the brush a bit difficult as it's gentler on the lashes and deposits a lot less mascara than usual and I found that sweeping rather than wiggling gave the best results. The mascara is quite a wet formula but because the brush touches the lashes so gently they don't stick together and there's no big lumps on the lash ends. Despite it's bendiness I found the brush can still be pressed right into the roots which is good if your lashes are a bit thin there like mine. The Mega Plush lengthens my lashes and separates them to give that one-by-one feminine and fluttery look. I haven't found any problem in layering this mascara, even when dry but for me it definitely needs more than one coat. It definitely lives up to it's claims of preventing brittleness and flakiness- the lashes stay soft and bendy and the mascara fully dries so there's no chance of stickiness. Where unfortunately the formula is let down is in holding a curl, I suppose this is because the lashes stay so supple but I do find it a bit annoying having to try and curl with the wand instead of being able to use actual curlers. Even though this is a Volum Express mascara and Maybelline promises 'mega volume' I wasn't really expecting it from this mascara. I've used my fair share and have layered 3-4 mascaras over eachother enough times to know that non-clumping and soft formulas don't tend to give much volume. Unfortunately I was right with this point, I think this mascara is lovely for day time but if you want more volume or a dramatic look then you will have to layer another over it. I don't mind that and have been using the Colossal Volum' Express waterproof but it might be an unwanted faff for some. Despite a couple of down points I do really like this mascara. I have been comparing it with Benefit's Theyre Real over the past few weeks and I like this one a lot better! I can see how people with short or sparse lashes might like Theyre Real, but for me Mega Plush is a definite winner and not just because when I slept in Theyre Real I woke up with just 3 big eyelashes again! 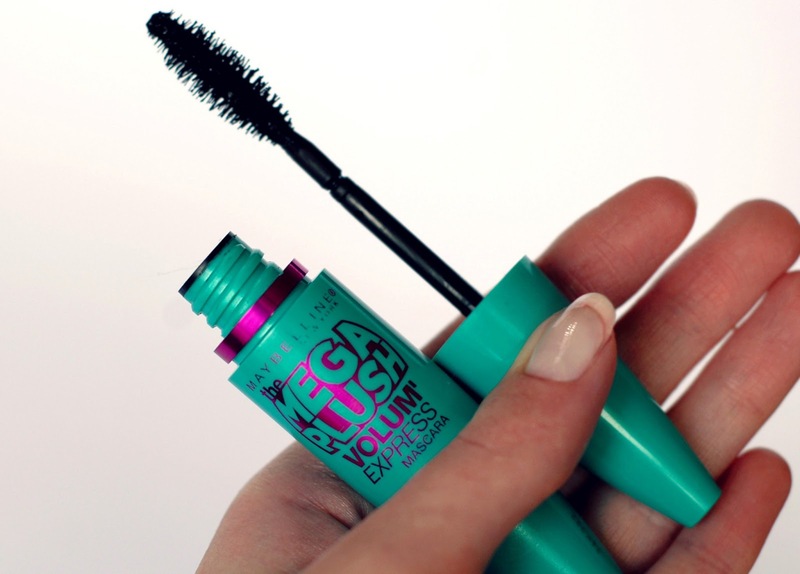 Maybelline Mega Plush Volum' Express Mascara is available from Superdrug, Boots and all the usual places for £7.99. I think this mascara would be perfect for the day! I'm also one for layering loads of different mascara's, so I think for me, this would be too much of a light formula. I just can't get over how long your eyelashes are though, they're amazing.